The mystery of the Money Boat; how did the Duff Gordons escape from the sinking Titanic? You may have noticed a somewhat glacial pair of first-class passengers, clearly endowed with a huge sense of entitlement, commandeer a lifeboat in episode 3 of Julian Fellowes’ Titanic mini-series. Unlike many of their TV shipmates, the couple really did exist – he’s Sir Cosmo Duff Gordon, and she’s his wife, Lady Lucy Duff Gordon, a celebrated fashion designer known also as Madame Lucile. The lifeboat itself was one of the Titanic’s two emergency cutters, which were always kept ready to be launched at a moment’s notice. Officially numbered as Lifeboat 1, it was also known as the “Captain’s Boat”, but thanks to the suspicion that surrounded the escape of the Duff Gordons, it became notorious as the “Money Boat”. Gossip suggested that even though just twelve people were on board when it was lowered into the water – it could have held forty – Sir Cosmo and Lady Duff Gordon bribed its crewmen to row away from the sinking ship, rather than return to pick up survivors. It was even alleged that they had bribed their way off the Titanic in the first place. As for how the Duff Gordons came to be aboard in the first place, Lady Duff Gordon described an implausibly civilized exchange: “My husband went forward and said, ‘Might we get into this boat?’, and the officer said in a very polite way indeed, ‘Oh certainly, do; I will be very pleased’”. Lifeboat 1 was stationary in the water, either 200 yards (according to the sailors and firemen on board) or half a mile (as Sir Cosmo insisted) from the Titanic when the great ship disappeared beneath the waves. 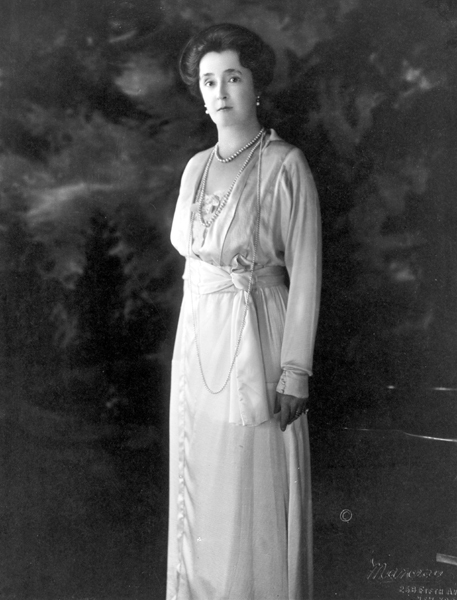 Everyone on the lifeboat subsequently agreed that shortly afterwards, Lady Duff Gordon consoled her maid for the loss of her possessions, saying “there goes your beautiful nightdress”. A fireman retorted “Never mind about your nightdress madam, as long as you have got your life”. According to Sir Cosmo, another fireman then said “we have lost all our kit and the company won’t give us any more, and what is more our pay stops from tonight. All they will do is to send us back to London”. Sir Cosmo replied “You fellows need not worry about that; I will give you a fiver each to start a new kit”. The next morning, he kept his promise, writing each man a cheque for five pounds. Rumours subsequently charged that Sir Cosmo had forbidden the crewmen to row back to help the swimmers in the freezing ocean. By that reckoning, the £5 was either a payment not to go back, a reward for not doing so, or a bribe to keep their mouths shut. There were hints too that Sir Cosmo had paid Murdoch for his seat on the boat, and for launching it as soon as he was aboard. So when exactly did the fateful conversation take place, and what precisely was being agreed? Watch this space . . . I’ll continue the story in a future post. If you can’t wait, you could always buy the Rough Guide to the Titanic. Hold The Front Page! Thrilling Details of Titanic Rescue! Has there ever been a front page to match this one? This is the New-York Tribune from April 19, 1912. 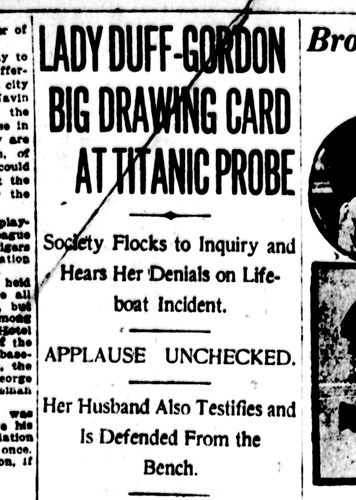 In the four days since the Titanic hit the iceberg, the world has had no news of the tragedy beyond a piecemeal list of the victims. 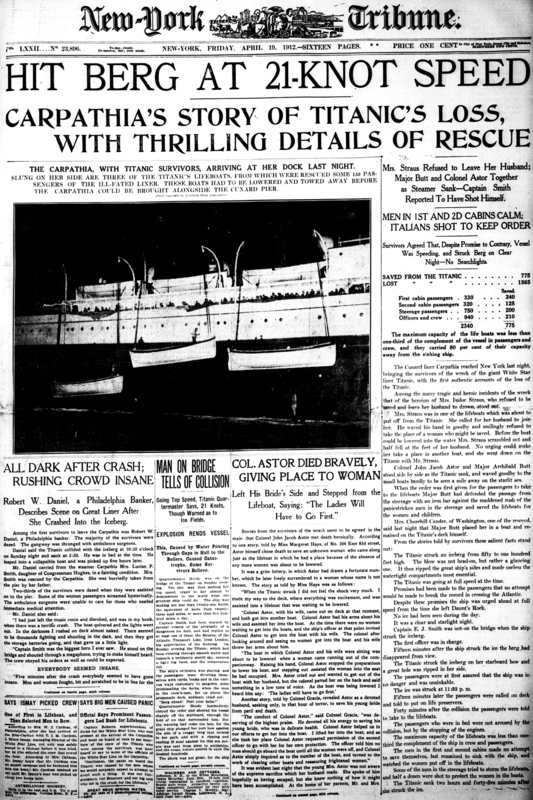 Now the rescue ship Carpathia has finally reached New York, carrying the only survivors of the tragedy, and at last the newspapers have the “THRILLING DETAILS” to get their teeth into. Or do they? A quick look at the headlines below, all clipped from this same page, reveals that while the stories are certainly thrilling, it’s quite possible that none of them is actually true. The stories here include such persistent myths as that Captain Smith shot himself, that White Star Line president J. Bruce Ismay escaped with a hand-picked crew, and that an officer shot panicking “Italians”. A century later, we still don’t know whether any of these things really happened.